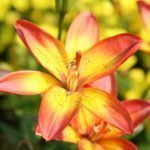 Are Oriental And Asiatic Lilies The Same? 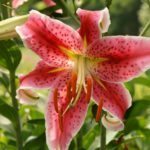 Are Oriental and Asiatic lilies the same? 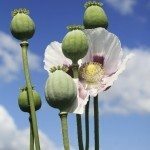 The answer to this often-asked question is no, the plants are definitely not the same. However, although they have distinct differences, they also share many commonalities. Read on and learn how to tell the difference between Asiatic and Oriental lilies. Oriental and Asiatic lilies aren’t the same, but both popular, hybrid lilies are strikingly beautiful and right at home in the home garden. Although Oriental lilies are slightly trickier, both are easy to grow, and learning to tell the difference between Asiatic and Oriental lilies isn’t all that difficult either. Asiatic lilies are native to several areas of Asia. The plants, which reach mature heights of 1 to 6 feet, display long, slender, glossy leaves. They are hardy, early bloomers that produce flowers in a wide variety of bold colors or pastels in spring. Unlike Oriental lilies, the flowers have no fragrance. Asiatic lilies aren’t fussy and they thrive in nearly any type of well-drained soil. The bulbs multiply quickly and can double every year. Oriental lilies are native to Japan. 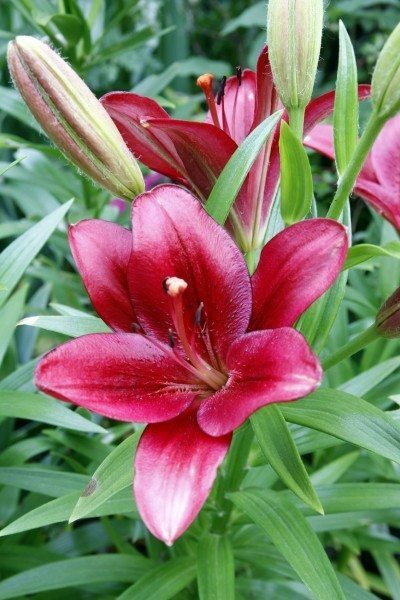 The plants gain height every year, and at 2 to 8 feet, are considerably taller than Asiatic lilies. Many are even known as tree lilies. The deep green leaves are wider and further apart than the leaves of Asiatic lilies, and are somewhat heart-shaped. Oriental lilies bloom about the time Asiatic lilies are fading. The huge blooms, primarily in shades of white, pastel pink and pastel yellow, are heavily scented. The bulbs multiply much more slowly than Asiatic lily bulbs. Additionally, when each of these plants put out new growth in spring, there are noticeable differences. For instance, Asiatic types resemble small artichokes as they emerge and develop multiple narrow leaves up and down the stem. Oriental types, however, will appear more torpedo-like with less leaf growth and are somewhat wider. There is no competition! Plant both and you’ll be rewarded with an impressive array of stunning blooms from early spring to mid- or late summer. Both benefit from occasional division to keep the plants healthy and prevent overcrowding.